Healthy eating should always be a focus, but if you need extra motivation, know that October is Corporate Wellness Month. Nectar Juicery is making it especially easy to “eat clean” at the office with their corporate juicing program — and they’re the only Vancouver company I’ve seen to launch such a system. Nectar’s corporate juicing program begins with the installation of one of their juice fountains. You can choose to receive 12 or 14 litres of their organic, cold-pressed, unpasteurized, formulaic juices. At $17-$19 per litre (depending on whether or not your company purchases a tap) drinking juice in the office winds up being a better deal than purchasing individual bottles. Some companies choose to cost share with employees, meaning juice ends up costing staff just $2 per glass. 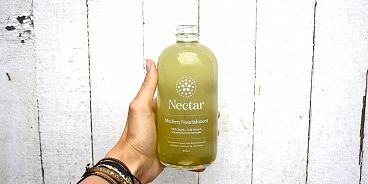 Another perk of the Nectar Juice Tap is that your employees have access to Nectar’s holistic nutritionists, who help to develop the seasonal, veggie-based juices.